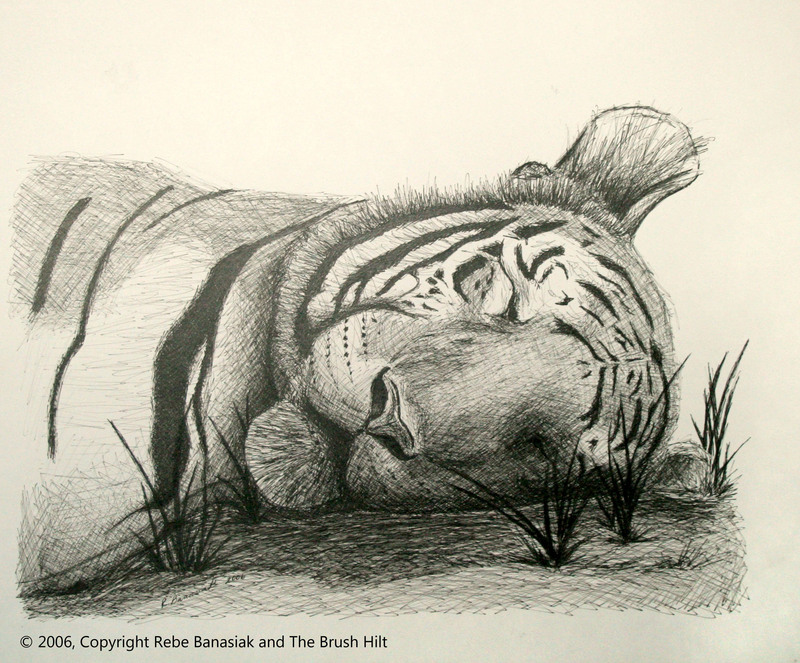 Tiger, 2006, ink on paper. 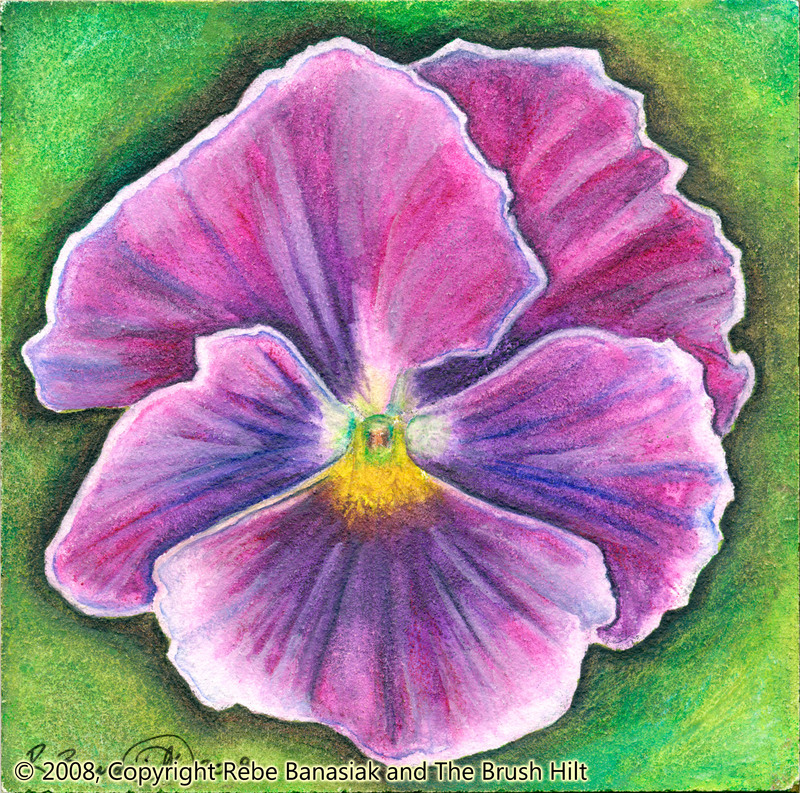 Pansy III, 2008, Inktense and watercolor on aquaboard. 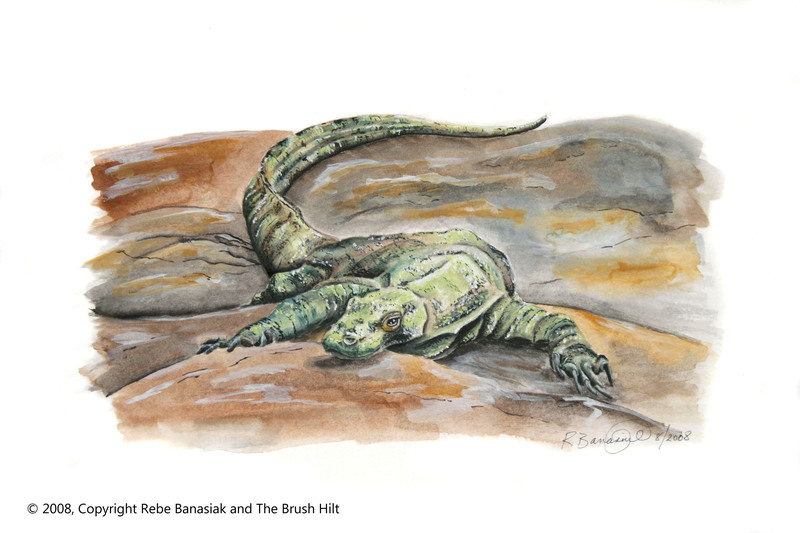 The Year of the Dragon (Kimodo dragon), 2008, watercolor on paper.